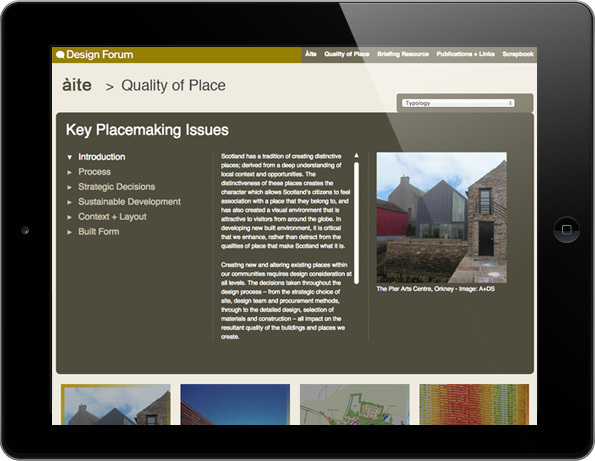 When you’re designing and building a web hub for Architecture and Design Scotland, you do it well. Scotland is alive with architecture and design – and Architecture & Design Scotland (A&DS) is its champion. When they needed a web hub to provide a living, breathing resource for their Design Forum, we stepped in. It called for the right blend of digital design, functionality and, aptly, ‘build’. We wanted to give the architecture and design community across Scotland, the opportunity to engage and inspire in equal measure. But this would be more than a glorified chatroom, it would also have to provide the foundations for a simple way to share and store knowledge over time. 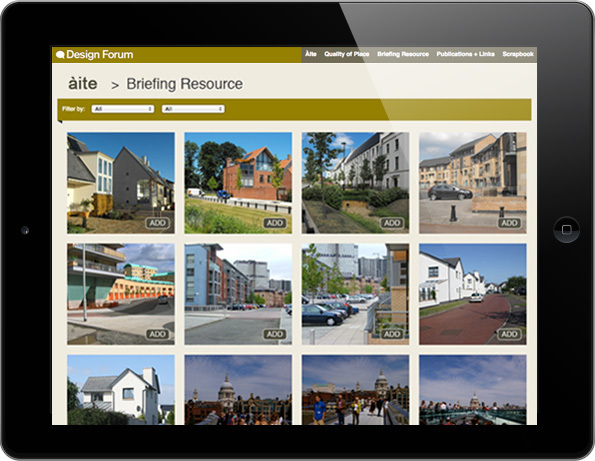 Providing an overview site and mini-website contained within, the interactive interface allows users to self-manage the resource, and the stored PDF case studies. They can even create their own printable ‘digital scrapbooks’ as required – all built on strong simple design foundations.